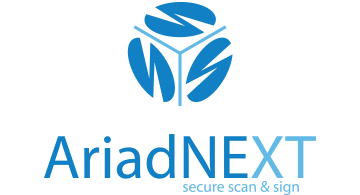 AriadNEXT operates cloud based automatic documents verification solutions to simplify Customer Onboarding in stores or online. IDCheck.io analyses any ID document picture (ID card, passport, residence permit) in less than 10s and provides a detailed compliance report in pdf or XML format. SMARTEYE analyses any document (bank details, proof of residence…) and provides a detailed report in pdf or XML format customized with your business rules. With our mobile library SMARTSDK, ID scanning is immediate and help your customers fill your forms.